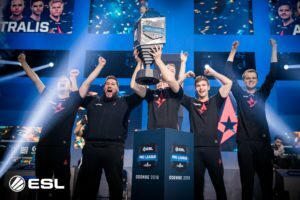 Danish powerhouse Astralis became the third team to achive to wins in the Intel Grand Slam as they took the final of ESL Pro League Season 7 on May 20th 2017 in Dallas, Texas. 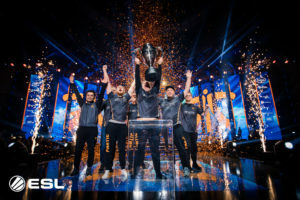 Astralis continued their fine form, which saw them win the Dreamhack Masters tournament in Marseilles in late April before falling to Faze at IEM Sydney two weeks later. Their first map win of the final in Texas, was extremely dominant: 16-1 on Dust. Supported by the home crowd, Team Liquid railed back on Nuke but ultimately the danes took that map as well. Their backs against the wall, Team Liquid fought hard on Mirage and was rewarded with a 16-14 win, pushing the series to map 4: Inferno. Despite a strong start for the Americans, it was Astralis who could close it out 16-12. After raising the Pro League trophy under the roof of the Verizon Theatre, Astralis` latest recruit Emil “Magisk” Reif lauded his opponents, Team Liquid. Honestly, I did not expect them to be this good. They played some really, really good CS and outplayed us on Mirage. 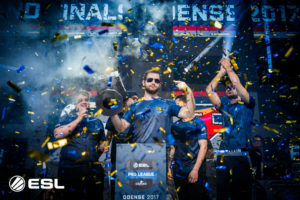 While Reif`s contribution throughout the tournament led to his name frequently mentioned for MVP, it was another Dane, Peter “Dupreeh” Rothman, who claimed the award which is presented by HLTV. This MVP is a personal achievement I`ve been wanting for a long time, said Rothman in his subsequent interview with the site. Astralis` win netted them 250 000 USD. It also put them in the driver`s seat in the race for the Intel Grand Slam. The Danes have two wins, in just three attempts. While both SK and Faze have two notches, these teams have less attempts left to work with to secure the biggest prize in esport history.